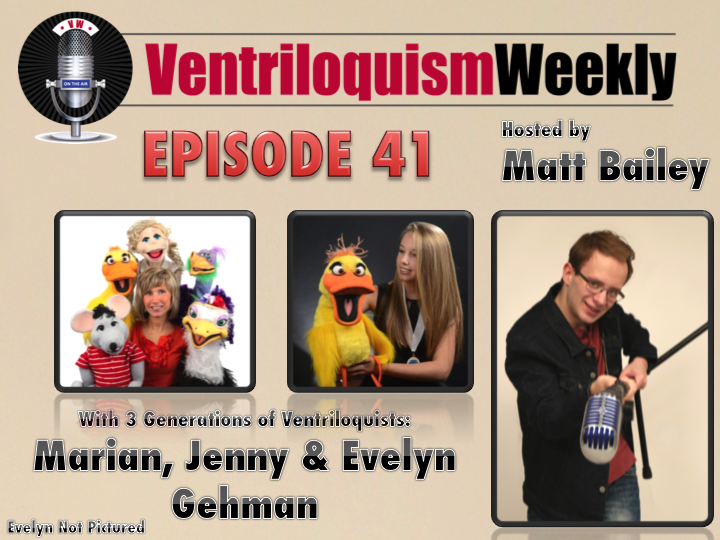 This week, Matt speaks with 3 generations of a ventriloquist family! Evelyn Adam is the matriarch of these Pennsylvania ventriloquists that include Evelyn’s daughter Marian, and Marian’s daughter Jenny. While Evelyn is retired, Marian and Jenny both perform part-time as hobbyists. Listen to find out what our art form means to this incredible family of performers.